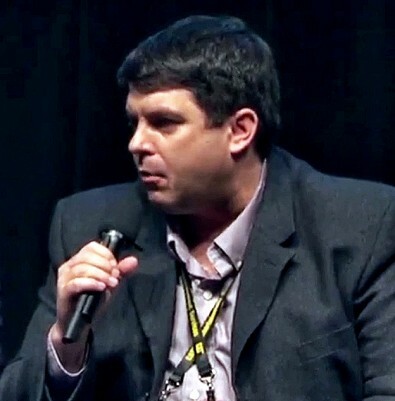 Mike Francis, CBS vice president of Remote Engineering and Planning, said IP and networked audio is being used for external communications, IFB and microphone acquisition. “We are moving away from traditional analog cabling for audio transport for a variety of reasons,” he said. “We get a much cleaner sound. CBS Sports, Francis said, will be using 138 wired and 38 wireless microphones between the game and studio. The audio van, Francis said, is NEP’s SSCBS with one Calrec Apollo for main mix and one Calrec Artemis for tape release. SSCBS audio control room relies on a Calrec Apollo console for main mixing and a Calrec Artemis for tape release. Click to enlarge. 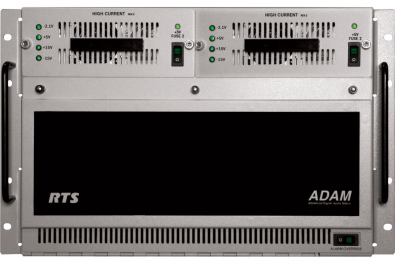 The Calrec systems feature Bluefin 2 high density signal processing, 1,020 channels with full signal processing, 128 mix busses, 96 multi-track busses, 48 aux busses and six MADI inputs and six MADI outputs. The truck has 12 announcer headsets, six short shotgun mics, eight long shotguns mics, 12 stick mics and 12 lavaliere mics. The truck carries a mixture of Sennheiser, Sony, Shure and Audio-Technica mics onboard. SSCBS is a double expando unit 64 feet long and 21 feet wide expanded with a 460-port RTS Adam intercom system. Day Sequerra upmix, downmix, loudness meter, and stereo synthesizer gear is also in place alongside B&W surround-sound speakers and an RTW digital audio scope. NEP launched the SSCBS in 2015 and entered the era of IP-based routing at the Wyndham Golf Championship in Greensboro, N.C. The truck uses the Evertz IP routing system, which has been refined since the product's launch. Shure's Bill Ostry, Regional Sales Manage - Pro Division, said CP Communications of New York City is providing Shure’s Axient Digital wireless microphones for the sidelines and Professional Wireless Systems of Orlando, Fl is providing similar digital mics for the referees and halftime show. F&F GTX 18 Mobile Truck. Click to enlarge. Game tape release for CBS will be out of the F&F GTX 18 mobile unit. It is equipped with one Calrec Artemis console with 72 channels, Francis said. That truck features a Genelec 5.1 surround monitoring system. It also features 14 Sennheiser MKH 416 shotgun mics, two Sennheiser MKE 44-P stereo mics, six Sennheiser MD 46 stick mics, two MKH 70 shotgun mics and six Sony ECM 77B lavalier microphones. 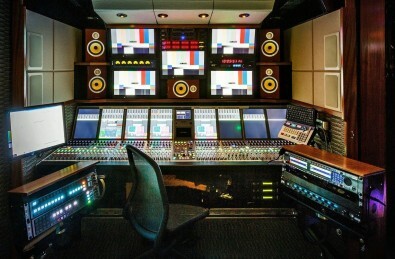 Studio shows will be produced out of Game Creek Video Encore trucks each equipped with an Calrec Artemis Bluefin mixer. There are three 53-foot double expanding high-definition production units. Encore A is the audio unit which features multi-purpose edit and transmission rooms. 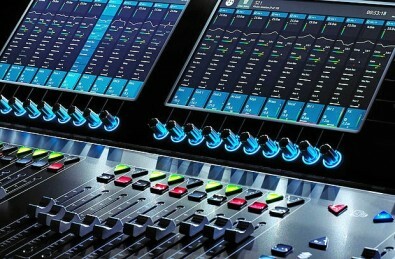 DiGiCo S21 Digital Mixer. Click to enlarge. Finally, Francis said the CBS RF Mix will use an S21 digital mixer from DiGiCo. The S21’s surface is laid out in two side-by-side main sections, providing direct hands-on control of up to 48 mono or stereo input channels, the master bus, 16 busses in mono or stereo, 10 VCAs and a 10x8 matrix router. Each of the two surface control sections has a bank of 10 fully assignable motorized faders and a TFT LCD display that hosts 10 additional sets of assignable on-screen channel controls, physically aligned and integrated with the channel strips. Ed Soltis will be mixing his sixth Super Bowl for CBS Sports and Peteris Saltans will mixing the studio show, Francis said. Editor's Note: You can read more of The Broadcast Bridge's coverage of the 2019 Super Bowl broadcast and production in multiple articles. Get a behind-the-scenes look at the high-tech production. Just type "Super Bowl" in the home-page search box.